Rhymes with hindsight. I smiled when a friend shared the idea with me. Yes, it makes perfect sense that a learning stance is not only the kinder way to go but also a more effective way to grow. So why don’t we all already do it all the time? I’m curious about a deeper level of conditioning that persists, even when we know better. An embodied habit of thought, feeling or behavior that functions like teflon against a potentially sticky new possibility. MindSight. It’s a term coined by Dr. Dan Siegel to describe our human capacity to perceive the mind of the self and others. It’s a kind of focused attention that helps us get ourselves off of the autopilot of conditioned and deeply ingrained behaviors and habitual responses. MindSight is a vital competency for conscious leaders. It’s a way of bringing conscious awareness and choice to work with us. We are profoundly creatures of habit. How many times have you learned a new idea, even known what to do, but found yourself doing the very thing you knew not to do? Exposure to new ideas is necessary but insufficient to enable us to take new action. For a new idea to “break in” a new set of electrical and chemical connections, we have to repeatedly focus attention on a new thought or action. The new ultimately becomes an intrinsic part of your behavioral and biological identity: who you are, how you perceive the world, the actions you take, and the structure and function of your brain. Where we focus attention and what we repeatedly do shapes our entire nervous system, substantially influencing the actions we are capable of taking. Here we encounter our inherent resistance to what is and also to change. What happens when you combine KindSight and MindSight? You catch yourself when falling into a familiar rut. You open to new awareness, acceptance and forgiveness. You inhabit your humanity as a work in progress - with the nobility and humility of a learner. Instead of collecting notches on a tally of how right/wrong or good/bad you, your decisions or actions are, you get to mine each experience for its real treasure: growth. You empower yourself. And when you empower yourself, you lead by example. Want to try it? Is something bugging you? Are you getting feedback that’s hard to accept? Are you tripping yourself up again and wondering “When am I going to learn this? 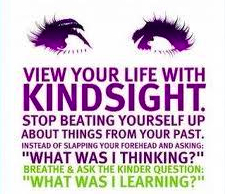 !” What would happen if you applied KindSight in reflecting on whatever it is? Take a moment to listen below the noise of judgments and arguments for self-protection. What else is there for you? For you, like a gift in strange packaging. Using KindSight with MindSight, you can choose empowerment as your new normal. 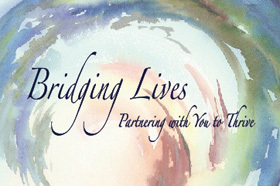 To receive Bridging Lives Notes (and a free gift) sign up here.